Looking For The Best Electric Guitar For The Money? Here’s a look at our favorites, including our top pick the – Paul Reed Smith Guitars ST24TS SE Standard 24 Electric Guitar. All of the electric guitars featured in our best electric guitars buyer’s guide have been extensively played by our electric guitarists on staff here at music store central throughout their years of local gigs and national touring. That being said, we’ve chosen one guitar from each of our five favorite guitar brands that is the best for the money. Our favorite brands include PRS, Fender, Ibanez, Jackson, and Epiphone. Really, you can’t go wrong with any of these brands, it all just comes down to preference and budget. Versatility – The ability to switch between playing styles is an invaluable one. That’s why versatility is so important in a guitar, your guitar should be able to play blues, jazz, metal, and open chords all the same. 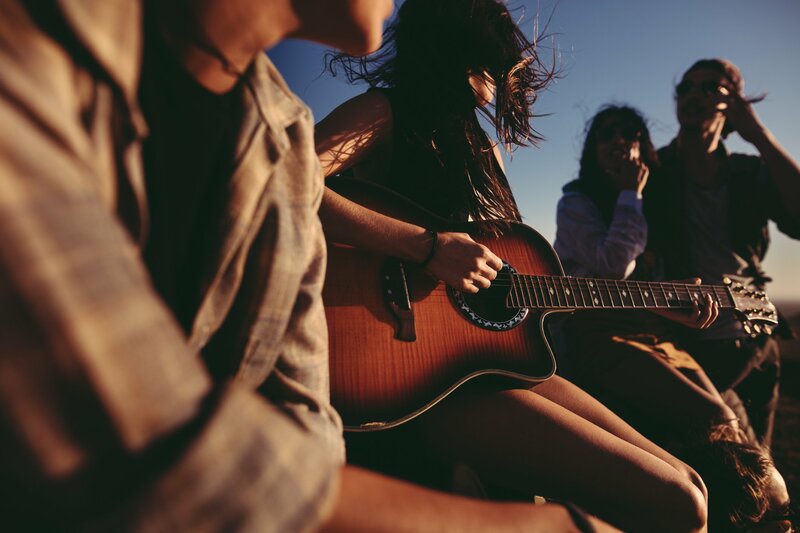 If a guitar makes itself uncomfortable to yourself when you’re playing a style of music, then it’s better to have a more versatile one with a slimmer body, or flatter neck. Not to mention the components of a guitar, which if done correctly should allow you to switch between a vast variety of available tones. Coil Splitting – This particular feature is worth buying a new guitar for alone. The best part about coil splitting is the fact that it makes your humbucker guitar essentially a single coil guitar too. Not all of the guitars in our buyer’s guide have this feature, but also not all guitars need it if they have excellent single coil pickups to begin with like the Telecasters do. 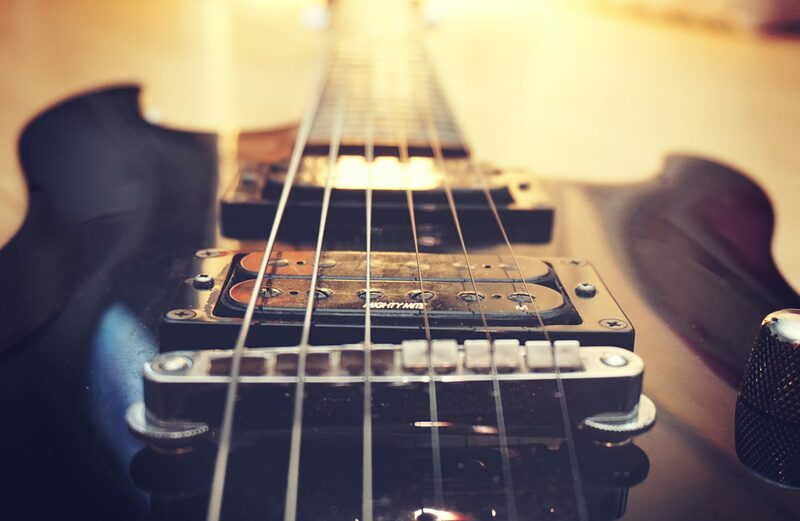 Durable Neck & Components – The guitar neck is one of those features of the instrument that you can not skimp on, if you guitar neck is not top quality it will begin to warp, and before you know it your guitar is almost useless because the strings are either too far off of the neck, or too close and buzzing. All of the guitars on our list are known for their phenomenal track records as having some of the best necks in the industry, simply put you will not have to worry about warping necks if you choose one of these guitars. 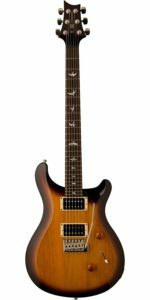 You really can’t go wrong with a Paul Reed Smith SE Standard 24 Electric Guitar, because these guitars are like every great guitar ever built, but all molded all into one affordable instrument that will last forever. The versatility of PRS Guitars can not be overstated. You’ve got to play one to believe it, because the necks offer buttery smooth play-ability, the bodies are small and nimble, and the whammy bars and necks are top notch. PRS guitars also have coil splitting too. This particular PRS comes in 3 different color variations including vintage cherry, translucent blue, and our personal favorite the tobacco sunburst which is pictured above. The best thing about the PRS is the amount of different tones you can achieve through different combinations of the pickup selector, tone and volume knobs, plus the coil splitting feature. Next up is the Epiphone Les Paul Standard Plus-Top Pro a guitar that also has the ability to coil tap your humbucker pickups, and it gives you a huge advantage over other electric guitarists. 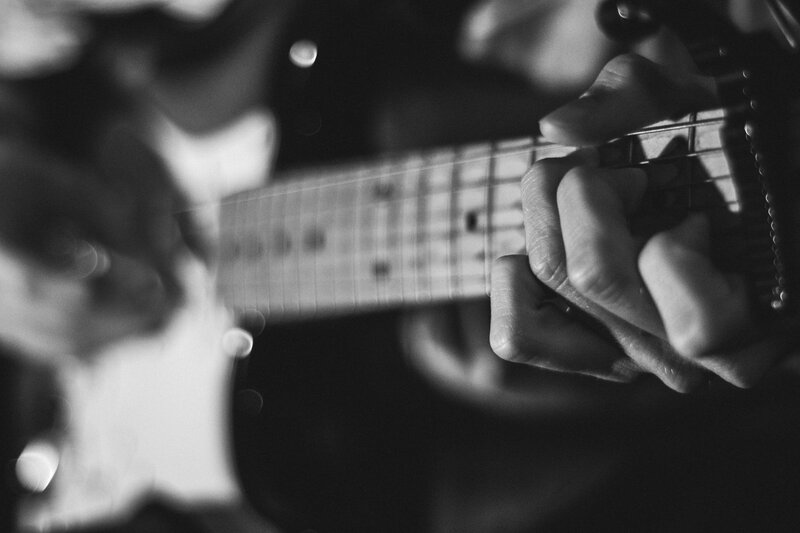 Coil tapping adds a huge variety of possible tones to your sound and ultimately makes your playing more interesting. The Epiphone Les Paul Standard has an amazingly high rating for an electric guitar on the web. Hundreds of customers have left positive feedback for the Epiphone Les Paul Standard so you know it’s legit. At just above $500 the Epiphone Les Paul Standard is an affordable guitar that packs a lot of punch. This Epiphone has everything you would expect from a professional level guitar, you get all of this without the break your bank price tag. The Epiphone Les Paul Standard has a rosewood fingerboard, locking tune-o-matic bridge, and a cream binding on the body and neck. Additionally the Epiphone Les Paul Standard Plus-Top Pro features a limited lifetime warranty, check this guitar’s Amazon page for more details on that. 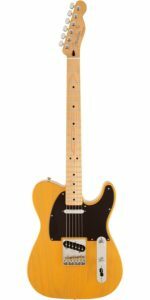 The Fender Special Edition Deluxe Ash Telecaster has a high online rating with plenty of positive customer reviews. It’s a bit more expensive than the Epiphone, but you’re getting a Fender name brand product. While Epiphone is fantastic, we here at Music Store Central do like Fender for their fast, buttery smooth necks. Anyone who has every played a Fender can attest to their build quality because it’s immaculate & solid and they hold their value very well. The dual single coil pickups made famous by the Telecaster are versatile as ever, and able to handle whatever you throw at them. Plus if you want a beefier sound humbucker sound, you can always engage a boost pedal. The last two guitars on our list are a bit more affordable than the first three, so if you’re looking to save the most money, look no further. The Ibanez GRX70QATBB is a budget electric guitar that you’ll never have to replace because the wood is so solid and does not warp. The necks on these Ibanez guitars are known for their quality and craftsmanship. Like Jackson & Fender necks, the Ibanez GRX70QATBB neck is extremely fast. The Ibanez GRX70QATBB does not have coil splitting, however the single coil pickup in the middle is a fine replacement instead of that feature. 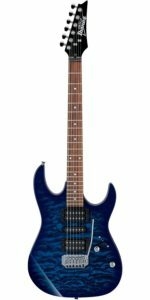 Really the best part about the Ibanez GRX70QATBB is its low price. This is a fast, well built machine, once you know how to handle it. 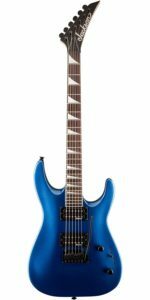 The Ibanez GRX comes in 5 different color variations, and personally we preferred the blue. Last up is the Jackson JS22 Dinky which is basically a direct competitor to the Ibanez GRX70 from above. Both guitars have overall the same speed, usefulness, and price. The Jackson JS22 Dinky lacks the single coil middle pickup of the Ibanez, however we prefer the overall style of the Jackson to the Ibanez. The Jackson JS22 just looks stunning for guitar in that pricepoint. I’ve personally owned this Jackson since about 2003, and the neck has not budged one bit, this thing still sustains notes and plays like it is brand new. Jackson makes extremely versatile guitars, using a very progressive style on their body shapes, so not only do that play fast but they look fast too. The Jackson JS22 is an obvious choice for someone who is on a strict budget but still wants to hold their own in the jam.